Diatom can be sprinkled on food to help with worming and to dust on the girls if they get infested with Lice, but the main use for me here is in our chicken houses for Red Mite control. I use it after washing the house out with Poultry Shield. I rub it into the perches on all sides and dust the ends, making sure that if any mites are going to get a free feed from our chickens, they are going to have to crawl through the diatom on their way there and back. You can also safely sprinkle it around nesting areas if these are Red Mite hot spots or if you have a broody hen that is being bitten. It does take a couple of days to work and of course needs to come into contact with the mites. It is important to keep the perches dusted every few days as it will disperse as the birds roost up and fly on and off their perches. 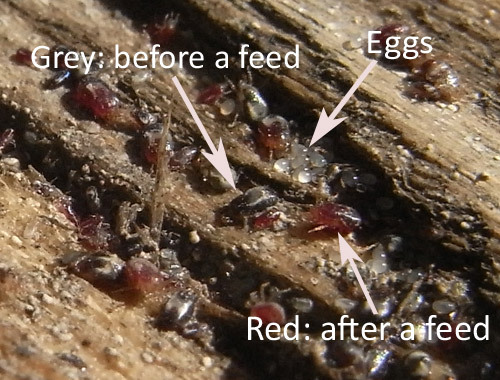 Remember the life cycle of red mite is just 7 days so from hatching out of an egg, in optimum conditions, a Red Mite can reproduce, laying hundreds of eggs. This is why their numbers seem to suddenly explode in the summer months when conditions are right. You can BUY Diatom from Amazon here. 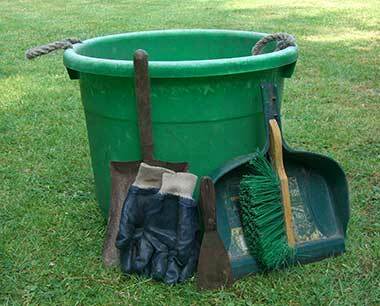 Diatom is a very safe product to use if you follow the manufacturers instructions. It is 100% natural and totally inert. Diatom or Diatomaceous Earth is made from the fossilised remains of ancient creatures. It is microscopically sharp and kills mites by scratching their waxy outer coating, causing them to dehydrate / dry up and die. Food grade diatomaceous earth is actually used when storing wheat in silos in order to stop mites from getting into the wheat. You can buy small puffer bottles of diatom, so I suggest you get one of these and then refil it from a larger container. If the hens have lice or you want to slow down the red mite biting them at night, puff the diatom in between their feathers, making sure it gets down to the skin. Concentrate on the warmer areas such as under the wings and around the vent where lice seem to congregate. Do you have any advice on using Diatom? Please leave me a comment below. Diatom can be sprinkled on food to help with worming but the main use for me is in our chicken houses for Red Mite control. I use it after washing the house out with Poultry Shield. I rub it into the perches on all sides and dust the ends, making sure that if any mites are going to get a free feed from our chickens, they are going to have to crawl through the diatom on their way there and back. You can also safely sprinkle it around nesting areas if these are Red Mite hot spots or if you have a broody hen that is being bitten. Diatom is a very safe product to use if you follow the manufacturers instructions. It is 100% natural and totally inert. Diatom or Diatomaceous Earth is made from the fossilised remains of ancient creatures. It is microscopically sharp and kills mites by scratching their waxy outer coating, causing them to dehydrate / dry up and die. hi, i just wanted to know if you have any advice/opinion etc on using frontline or a similar product on chickens to treat/prevent both lice/mites and internal worms? using the drops on the back of the neck method. Lesley. I have heard of people doing this although keep in mind if you do, that it is not licensed for this kind of use so has not been tested on chickens producing eggs for human consumption. I have used Ivermectin (and if you follow the link, there is some useful information on this) for lice which is much cheaper after guidance from my vet but they can prescribe this under what is known as ‘the cascade’ under their own clinical judgement because there is no licensed product for louse control. The vet will usually advise you on a withdrawal time for eggs – from my experience this varies from vet to vet but 7 days seems to be the most common withdrawal time for eggs. I don’t believe Frontline or Ivermectin kill ALL worm species anyway and since Flubenvet is a licensed wormer that you can buy and administer yourself, it would be safer to worm them with an effective, clinically proven product. Hi there this is a great site ! One question allthough I am totally new to chicken keeping (thats why I am researching) I use de in my swimming pool filter and it stamped on it that it is a known carcinagen and to not breathe it in is it ok to use? Yes, DE is used in swimming pool filters too. 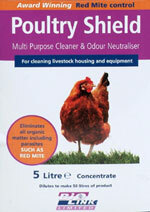 The sort that you can buy for chickens is food grade DE and should be used as per the manufacturers instructions. Of course, you should not breathe in the dust or it would cause health problems. I haven’t seen anything about it being Carcenegenic although this might simply be as it is dusty and caused by breathing it in. I don’t know. I highly recommend DE for red mite control! We had quite a bad infestation in the coop last summer which no amount of cleaning out and spraying with poultry shield would clear (as i understand, poultry shield has to actually come into contact with the mites to be effective). i read about DE and gave it a try…no more red mite! I mix the DE with water to make a runny paste then use a paintbrush to paint it over the inside of the coop, paying extra attention to the joints, the perches and perch holders. 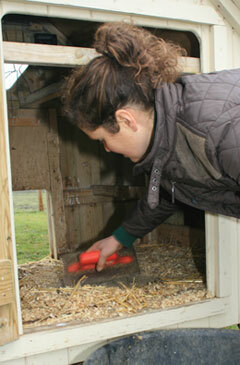 I then sprinkle dry DE over the floor and in the nest boxes before putting bedding down. As a test to see if it was still effective when applied as a paste I left a small section of wall unpainted. The following day there was a big cluster of red mites in the unpainted area but none anywhere else. Making it into a paste means you can be sure to get it in all the joints, nooks and crannies and I find it lasts longer on the perches as it seems to stick better than just dusting. Also it lessens the concern about breathing in the dust when you’re in a confined area. I also recomend Diatome….the big 5kg tub from Wells Poultry has a chicken on the side of the container. I spend a fortune on the small £7 bottles before i paid £30 for the big tub. The tub has a realistic amount for what is required to get rid of your pests. I dunk then hens, the coops, the run…..everything! Its works like magic! I have used DE for 9 months now as a red mite/louse control and have found it impressive. Certainly no obvious sign of infestation whereas there was before it was used. which I am tempted to give flubenvet but general lack of signs of worms are encouraging. The birds are given it daily (dry) in their food but I was wondering whether to mix some veg. oil in as well, a) to reduce the dust and b) to reduce wastage. Anyone know if this would reduce its effect on internal parasites? Cod liver or Olive Oil shouldn’t be a problem. It is digested, leaving the diatom to work through the digestive system. If you haven’t wormed them with a chemical wormer and they are gaping, I would consider doing this soon. The damage worms cause is significant and I don’t think it’s worth trying to avoid worming them if you suspect they have worms. 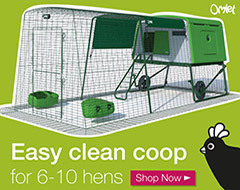 Hi, I have just ordered pest grade DE to treat my chickens & their coop. I was just wondering if anyone else had used the pest grade one & had any advice for me. I know i have to wear a mask so as not to breath it in but is there any other precautions i should take. I’ve also ordered the food grade as well to treat them internally & was wondering if there is any withdrawl period for the eggs. Thank You. It’s a fairly safe product to my knowledge so as long as you wear a mask so as not to breathe dust, you should be ok. There is no withdrawal since you are not treating with a chemical, DE passes through the bird and out again, it is a feed additive. do you think it’s OK to use the pesticide grade DE or should i just stick with the food grade one? I can’t find any info to do with the pesticide DE anywhere & most sites advise that people only use the food grade on even on their animals. I am not sure – Here in the UK we have products containing DE that are marketed for poultry use – I don’t know what grade this would be…. I am waiting to use DE with sawdust for the Deep Layer Method in my hen house, I have read that the birds dust bathe in it and it keeps the smell down and the warmth up. Can not find it here in France so am ordering it in. 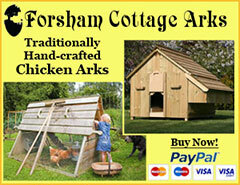 Have you heard of this method for hen houses and do you have any tips or advise about it. Yes, the deep layer method means you keep adding fresh sawdust and the chickens scratch for food in it, keeping the top layer turned over. You then clean them out less but have more to shovel out when you do. I’m not keen on this method as you have to scatter corn over the (dirty) bedding to get them to turn it for you and although they will peck from the ground anyway, this can’t help with worms. Many thanks. I let my little flock out every day and sprinkle fresh scratch out in the orchard and have not encouraged food inside the house, so hopefully it won’t end up in the Deep Layer! I will keep you posted as to how this goes. I am getting my birds (re-homing ex-caged) in less than 2 weeks and am researching what I need to buy, do I need this AND red mite powder? If so what would I use that for that I couldn’t use this for? Also would you suggest worming with Flubenvet straight away or waiting till March as per the routine jobs and using this in the meantime? Diatom is used in most Organic Red Mite powders. I keep both in stock but keep in mind diatom is usually a little cheaper and can be fed to birds to help with worms as well. Caged birds don’t usually carry many worms (they can’t scratch around the floor to pick up the eggs) but I would worm all new adult birds fairly soon to be sure. I’m wondering if you would know the weight of your average ex-batt/caged hybrid as I need to add the bird details to buy the F’vet; yet the prospect of weighing the birds is somewhat daunting! I’ve tried not to handle them too much as they are getting over a stressful time and I can’t say that I’d be able to even guesstimate it. Also should they stop laying as the days are so short? I’ve only had them 2 days and have had 5 eggs so far (from 3 hens). Was slightly odd picking one up and finding it to still be warm! 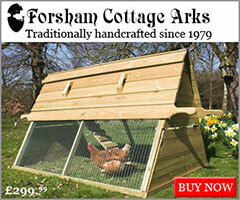 Medium sized chickens are around 1.1Kg in weight but it does vary. Ex Batts / Hybrids can lay a huge amount of eggs but slow down in later years. Normally they will stop laying over the winter but some will still lay and possibly stop at another time. Ex Batts are in particularly confused for a while when they come out of the barns having had 20 hours of light per day. We bought some hatching eggs from local breeder and all six hatched just before Christmas so just under 5 weeks old and growing fast.. we have bought some Animal Feed/Grade Diatomaceius Earth and was wondering from what age we can introduce it to them ie include in food and bedding etc … also they are not outside yet so do they need to be wormed yet ? You should be able to use diatomaceous earth now, just make sure it’s not too dusty around them as chickens are prone to respiratory problems.